In order to prevent from all types of Direct / Side Flash Lightning Strikes and to capture the stake of lightning strike, suitable Air terminal to be installed on the Roof top, highest point of the Building, or Factory or Residential complex or Communication Towers. Entire product line is provided with Life Time Equipment warranty owing to its passive design features. Hybrid passive concept is an exclusive product line patented in Sri Lanka. 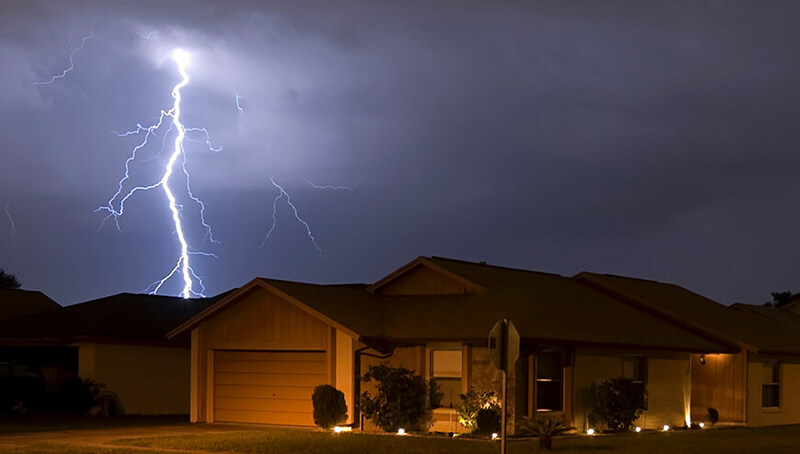 The characteristic of a Hybrid Lightning Conductor is to react to the approaching Lightning leader and capture it before any other element, within its protection zone in order to conduct the lightning current to the earth via a safe conductive path. Phaser brand product line is a unique Lightning Air Terminals with Hybrid characteristics. It has a built in Passive Array of Multi Electrode Systems with enhanced natural inbuilt electrical enhancements which increase the performances by time synchronizing mechanism. The performances of difference brands have a distinct advantage over the non-conventional (ESE) devices. Hybrid contains no active electronics; hence it is at a zero risk level of electronic failure .thus it has the ability to handle more than 200 to 300 Kilo Ampere range of lightning currents. The non-conventional (ESE) devices are subject to be defective when sophisticated electronics are damaged at the first strike or repeated strike. Micro Power product line is being designed and developed by Experienced Research Engineers. They have developed Phaser brand over the years to be a reliable Lightning Protection Terminal. Note - It is advisable to practice standards as set out in the national and international bodies and local conditions such as natural fabrics, environments, efficacy of soil by a competent personality before assessment of selection of the product. It is a prime requirement to carry out a comprehensive risk assessment prior to installation. Sometimes, world best system is not enough to mitigate the damages owing to raging natural calamities in the world. Therefore, practicing standards and indigenous techniques are vital in overall lightning protection scenario. Address: 179/1 Nilani Gardens, Colombo Road, Bokundara, Piliyandala, Sri Lanka.